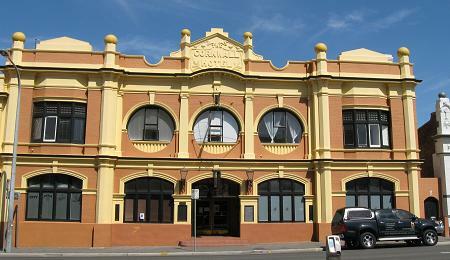 On Launceston heritage walks see remarkable historic buildings. And how did we find out about Launceston heritage walks? At the Visitor Centre in Launceston, we came across the brochure - it had great information on historic buildings in the city. 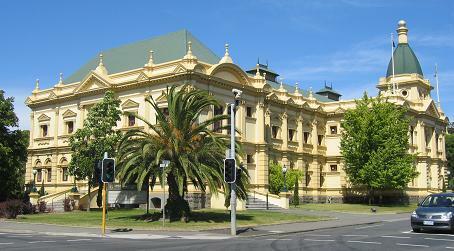 The first building that caught our attention was the Post Office, a Launceston landmark. It was built in the 1880s, and the tower added in 1903. Wandering inside the Post Office turned out to be a very good idea. I'm so glad that even on the inside it has not been modernised but instead allowed to retain its historic character. 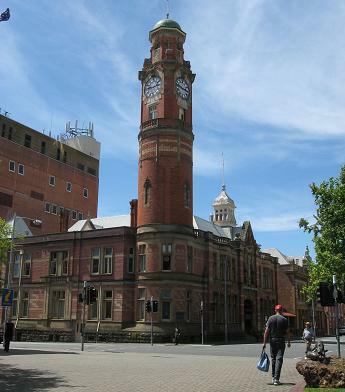 Just across the road from the Post Office is the Town Hall, which was built in 1884. 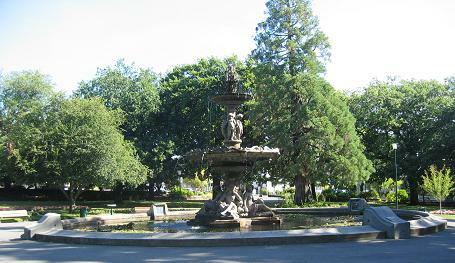 Originally, it had four columns but in the 1930s five more were added. I found this surprising as it looked to me like they had all been constructed around the same time. Oh well, I'm no architect! The Batman Fawkner Inn was built in 1924. Important historic meetings have been held here. 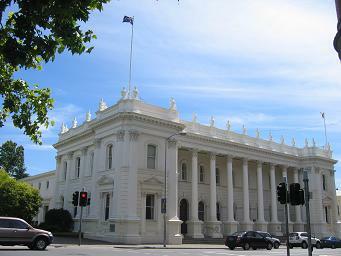 One led to the creation of the Port Phillip Bay settlement (now Melbourne). The Anti-Transportation League was launched here, resulting in the end of convict transportation. I was quite struck by the majestic appearance of the Albert Hall. Built in the 1880s, it has been used for a range of activities. It was a makeshift hospital during a 1919 influenza epidemic. It also provided shelter to those left homeless after the 1920s flood. After all that walking around, it was great to take a rest on a bench in lovely Prince's Square. This is another location which has been used for multiple purposes. For example it was once a military parade ground. 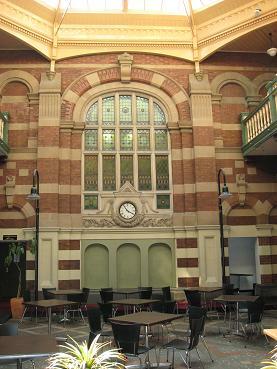 It has also been used as a political meeting place in relation to the issue of convict transportation. Launceston certainly rewards those who take a little time to look into what the city is all about.